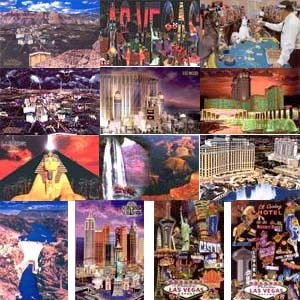 A random selection of 20 sensational examples of the 45 various Post Cards we offer. Postcard sizes are 6 inches by 9 inches. Free USA shipping on all quantities. Orders processed within 48-hours and shipped First Class mail. Minimum and Maximum is 20 postcards, this is one set of 20 different postcards. Retail price per postcard is $2.50.